1 October 2016: The Scaling-up Improved Legume Technologies project in Tanzania is supporting soybean and common bean farmers to access improved inputs and information on the methods that will maximize profit. 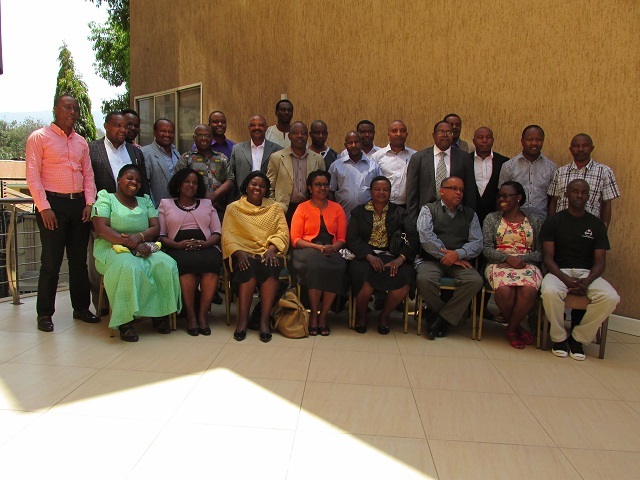 On 26 September 2016, AFAP in collaboration with IITA/N2Africa organized a one-day seed policy review meeting in Arusha, Tanzania . This is the first of two such meetings that will result in the development of a policy brief intended for an audience including the Ministry of Agriculture, Livestock & Fisheries, President’s Office-Regional Administration and Local Government and the Parliamentary Committee on Agriculture, Water and Livestock. But the reach of the work is expected to inform decision-making in NGOs and private sector seed and input companies. David Kijazi, from AFAP, explained: ‘The meeting was the first step towards developing a policy brief. The main focus was to set out the current status of the seed sector and the gaps in policy and regulation or enforcement and how they impact on the seed distribution and use by farmers. We were delighted at the turnout from across the sector. There are clear issues emerging about the need to balance supply and demand for seed which SILT partners IITA and I-logix are exploring as an input/output brokerage pilot. The partnership is also well placed to support the private sector in developing agronomic information for legume farmers. 31 participants were drawn from organizations including seed companies, hub agro dealers, Ministry of Agriculture Livestock and Fisheries, TOSCI, TASTA, SUA, IITA, FRI, AFAP, CABI, TFRA, TAHA and other NGOs.